SEO hosting is not a very easy topic. On one side, website owners want their websites to be ranked higher, but on the other side there are a number of limitations that users need to be aware of. Additionally, there is a third party of people and organizations who will keep off the top of the list if you don’t meet their requirements. SEO hosting is an important service that optimizes a user’s website for search engines such as Google. By now, you probably know that building a well-designed website and writing content is not enough to increase traffic to the website and convert them into sales. The only way you are going to have a lot of people visiting your website is if they know that your website exists. SEO hosting uses standard and contemporary methods to boost the optimization of a user’s website, increasing viewership and sales. Some SEO hosting providers also offer content creation services to businesses and website owners, C-Class IPs, among other SEO services. A modern method of SEO involves developing an online marketing campaign that spans across a large number of websites, DNS, IPs, domain names and C-Classes. The theory behind this is that search engines like Google award higher rankings to websites with links pointing to it from other related websites that are located on C-Class IPs. Owners of multiple IPs for a number of websites allow them to create links joining their websites without Google finding out. 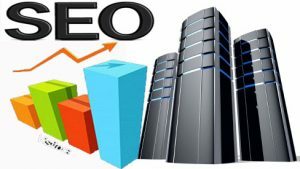 Most SEO hosting providers offer comparable packages, but with several C-Class IP addresses for each website or domain. Different C-Blocks can be extremely beneficial to a user’s website. A website owner who has several websites and wants to link them, risks being recognized by search engines as they are hosted on the same C-Class and so only the first link will be ranked highest. However, if different websites are hosted on different C-Classes, then each link is going to appear and counted as separately and thus get ranked differently. As the name suggests, SEO hosting provides users with search engine optimization services. Website owners can acquire different IP addresses for their websites after which they can assign the addresses to their other websites from their SEO hosting control panel. Users can manage all their different IP addresses for all their websites from one single account. SEO hosting is more cost effective compared to having web hosting, each with a different web hosting provider. Local SEO works perfectly for websites that have local IP addresses and that are hosted on local SERPs. Increased traffic – A search engine optimized website means that every person who searches something relevant to your website will immediately be taken to your website. The important thing is to ensure that you always have relevant and up to date information that answers all the clients’ or visitors’ questions so the visits can translate to sales. International SEO – Search engines provide website ranking based on the geographical location of user’s IP addresses. The more relevant the location of a website owner’s IP address is to the content, the higher the rank the website is going to have. Do a little research on each of the above providers to find one or more that meet your ranking needs perfectly.